​Are you a Music Teacher in S.W. Michigan or Northern Indiana who wants to share your love of music? ​This page will give you an idea of our philosophy of teaching and our ideas on how our school can best meet the needs of our students and teachers. If you are interested in applying for a teaching position after reading this page or viewing our website, please submit your resume at the bottom of the page. Please include a cover letter and put the instrument you teach in the subject line. Example: PIANO TEACHER. No Phone Calls Please. Only suitable applicants will be contacted for an interview. 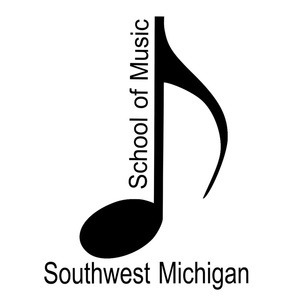 Founded in 2005, Southwest Michigan School of Music has served hundreds of families and individuals from all backgrounds the joy of learning and playing music. The school is located in Stevensville, Michigan, about 35 miles from South Bend and 55 miles from Kalamazoo. We cater mainly to children and teens. About 80% of our students are between 5 and 18 years old. We welcome adult students but our suburban market area has resulted in a student base of mainly children and teens. We strive to provide a fun but educational environment with well organized administration and first rate equipment and facilities. There are several places to teach music. As music teacher you can either teach privately in your house or in students homes, or you can teach in a music store or school - both have upsides and downsides. If you teach in your home or students homes, the upside is you can keep all of the money you charge to the student. Since you have no expenses like rent, insurances, or several types of advertising, you do not have to pay out a big percentage to overhead costs. There are also downsides of teaching in your home or your student’s homes. It can be hard to keep your schedule constantly full with new students. Getting a full schedule can be difficult and expensive if you have to run classified ads, radio/tv, or newspaper ads. Even if you are a good, well-liked teacher, it can take a long time for referrals and word of mouth to fill your schedule. If you are driving to student’s houses you also have to factor in the driving time between students which limits the amount of teaching you can actually do. The other downside of teaching on your own can be the difficulty in enforcing your attendance and payment policies. No one likes being a collection agent. It can be difficult to concentrate on your teaching while trying to keep track of who owes money and to make sure you are paid. If you are teaching on your own, it can also be difficult to enforce your teaching policies and have your time respected. For example, if a student tells you they are going to Disney World for the next two weeks, it can be difficult to still make them pay for their lesson time. Many students will refuse to pay for those missed lessons because they will think: "I’m not getting my lesson so why should pay?" Chances are you can’t book another student in that lesson time for just 2 weeks, so if you don’t charge the student in Disney World, you have just lost 2 weeks of pay. If that scenario happens a few times per month it can greatly reduce your earnings. Now let’s look at teaching at a music school. The downside is you don’t get paid as much per student. Teaching rates that in-home teachers and music schools charge are usually pretty similar. So the pay per student to the teacher is lower because of rent, advertising, and all the many other expenses. The upside can be having a consistently full schedule of students each day. Being paid a little less per student but having 8 - 12 students in a day will mean you earn more overall. Another upside to teaching at our music school is that you do not have any collections hassles. You only have to focus on the teaching. Also, our music school provides a professional educational environment that is stimulating to the students. It is also free from distractions found in a home such as ringing phones or doorbells, tv's, barking dogs and noisy family members. 1. A constant flow of new students to keep schedules as full as possible. Over the course of the year, students can move or quit. This can leave a teacher with gaps or holes in their schedule. A lot of students register and start lessons in September. Most music schools only advertise in late August and September for new students. At our school we spend a lot of money on advertising and marketing year round to keep our teacher’s schedules as full as possible. Each year we spend thousands on advertising to constantly attract new students. We are continually registering new students for our private music lessons even during typically slower registration months like May or June. 2. Extras are taken care of – your only responsibility is to teach. We have a full time school administrator to handle all of the "details" of teaching. From scheduling to collecting fees or arranging an accompanist for recitals, these details are handled by our administrators not the teacher. This means the teacher is free to focus on teaching and not get bogged down by administration. 3. Your time is respected and you are paid whether or not students show up. Teachers are paid for lessons whether students attend or not. If a student misses lessons for any reason, the teacher is still paid. If a student does not pay for their lessons or has an uncollected debt, the teacher is still paid. Our priority for our teachers is to make sure that your time is not abused and your teaching day can be as productive as possible. These are a few reasons we believe our school is a great place to teach. We work hard and strive to make constant improvements so our school a great experience for everyone involved. We would like to sincerely thank you for taking the time to read this and for your interest in our school. Thank you for your interest in teaching positions with our school. We look forward to hearing from you very soon!